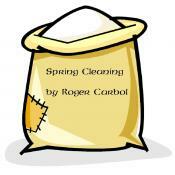 Spring Cleaning (Roger Carbol; 06-Apr-2008; Z-code). Spring Cleaning homepage. Contains story file, source code, and cover art.